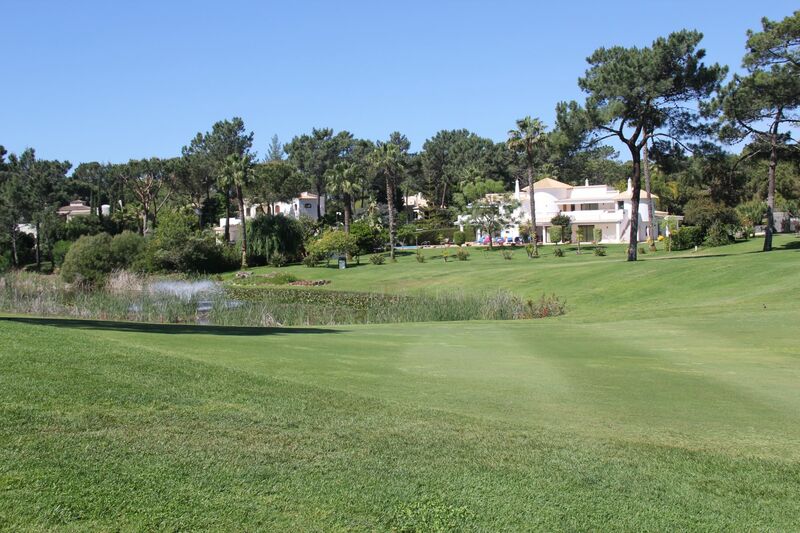 If ever there was a golf course which captured the hearts of golfers around the world then the South Course at Quinta do Lago is a perfect example. This is a course you will never forget for a variety of reasons; aesthetically she is the real deal, bordering the Ria Formosa nature park and meandering through umbrella pine forest with stunning villas lining the fairways. Then there is the elevation, some dramatic changes perhaps echoing Augusta in many places. 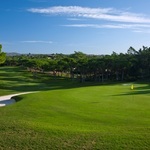 The huge greens are formula 1 speed with some very tricky slopes to negotiate and like Quinta’s other two championship courses, the new North Course and Laranjal, you can score well with good course management and accurate shot making. 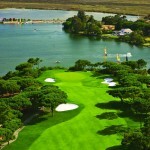 The South Course is also recognised perhaps as the best or most difficult of the three, having hosted the Portuguese Open eight times. 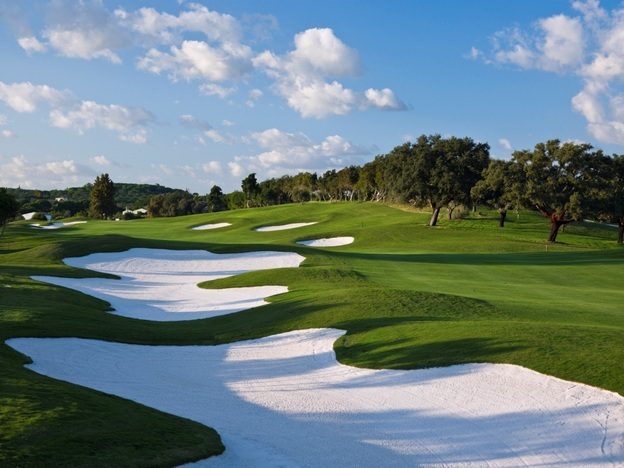 Designed by Will Mitchell and opened back in 1974, The South Course is 6,488 metres off the white tees, par 72 and unusually for the Algarve, has just four par 5’s which of course adds to the difficulty. The first is downhill and invites a big drive, but anything sliced will block out the green. Next is a gentle par 5 pretty straight so three good shots got me home in par. The 3rd provided my first glimpse of water discreetly guarding a pulled shot to the green, but this is just a taste as most of the water hazards are on the back nine. After a shortish par 3 the 5th is a tough par 5 stroke index 1 with a tasty dogleg left before the green protected by a couple of dangerous bunkers which naturally I decided to visit. For me though it is the back 9 where the South Course really starts to bite you. After a tough opening par 4, I got a little thrown by the elevation change on the par 3 11th, a big scoop in front of me made me over club a little, but for me the 15th par 3 which is all carry over water is the best hole on the course. 200 metres over a lake is a fearsome shot for any level of player, but the best tip is if you are in any way uncertain just aim to the right away from the water and the green and hope for a four. The 16th brings the water in again all down the left side so anything pulled will find water. Fortunately, I scraped a par 4 here and that same lake defiantly waited for me for my drive at the par 5 17th. If you come through these two unscathed, the final hole dogleg left will perhaps allow a birdie with no real danger and a reasonably flat fairway. The South Course is still the jewel in the crown at Quinta do Lago, quite a testament to Will Mitchell’s original design that she can still head off so many new contenders. I want to play the South Course. How much is it? The South Course, Par 72 6,488 metres.